Great and friendly staff. Hotel is clean and comfortable. Was a quick stay , maybe 14 hrs but was Close to the airport so wes handy. Great quality accommodation that was very spacious. Good views and great restaurants and bars close by. Undercover parking, easy checkin, rooms were clean and tidy, nice large balcony with table and chairs. It had tea/ coffee facilities in the room, a small bar fridge...really everything we needed in a great location. Nice and close to Portside Wharf. had dinner at the breakfast creek wharf hotel which was great; location is close to the city, portside wharf and also the racecourse (short cab ride). Ideal location for anyone going on a cruise from Portside wharf in Brisbane. Portside wharf, Hamilton in walking distance for snacks while waiting for cruise ship. Get the most of your visit to Portside Wharf by staying in a hotel nearby. Local landmarks allow you to take in the local culture on your next holiday. 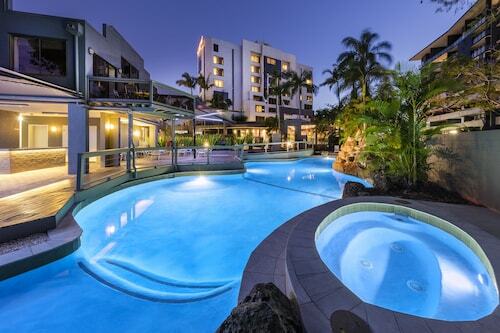 There is perhaps no better way to enjoy Portside Wharf than by booking a nearby Portside Wharf hotel! Whether you are traveling alone, as a couple, or with your entire family, your visit to Portside Wharf will be a highlight of your holiday – and your hotel should be too! Finding your dream hotel near Portside Wharf is easy when you search here on Expedia.com.au. Narrow down hotels based on your budget, hotel class rating, or specific hotel themes. 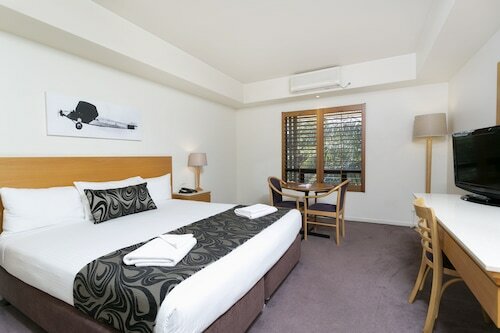 You can always find the best Portside Wharf hotel for your needs when you book with us on Expedia.com.au.